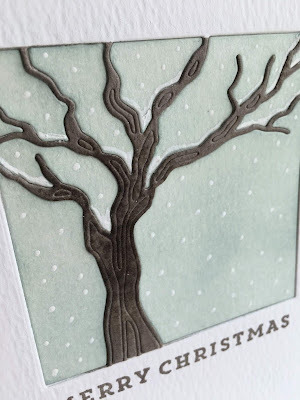 I'm in Haven: Simon Says Stamp Diecember® Blog Hop! 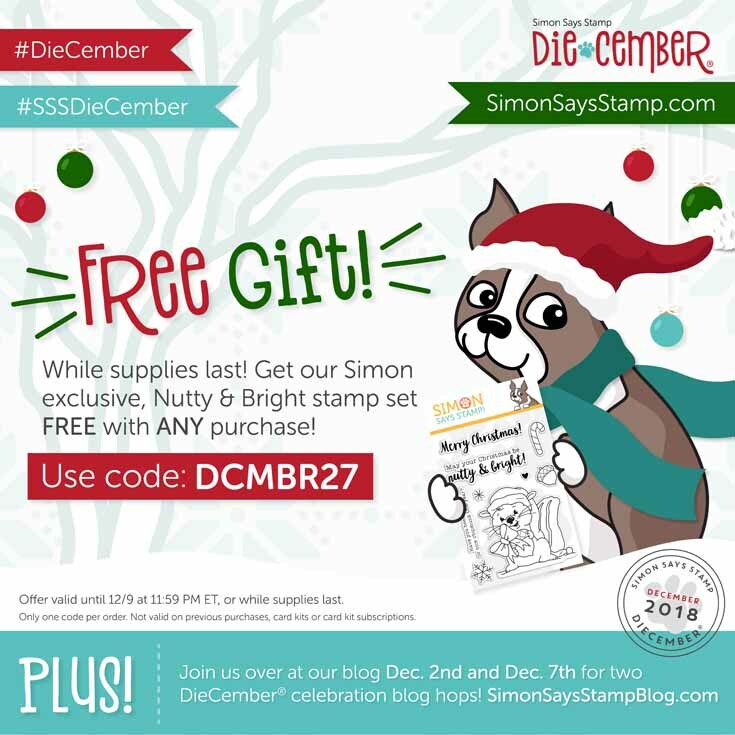 I am so excited to be a part of today's Simon Says Stamp's Blog Hop, celebrating their latest wonderful release, Diecember®...a release in the month of December that celebrates DIES!! If you are following the Hop, you should have reached my blog from the talented Heather Ruwe's blog! The second one, I decided to make a tree with a snowy background, and make this card a Christmas card! 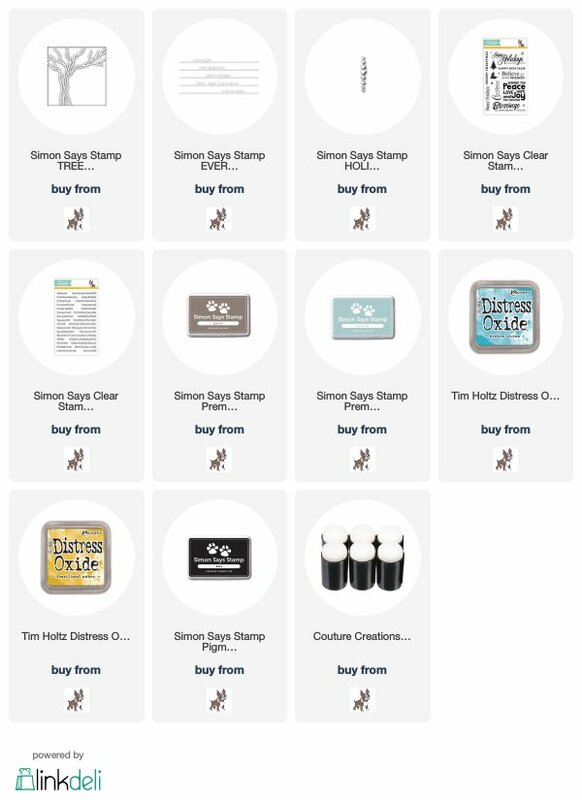 Simon Says Stamp will be generously giving a $25 coupon to one commenter from each and every blog on the hop, simply leave a comment for a chance to win!! 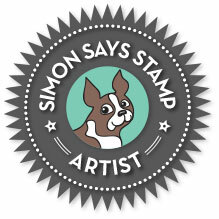 The winners will be chosen and be posted on the Simon Says Stamp Blog on Wednesday, December 12th, so make sure you check the blog on the 12th, to see if you're a winner! The next stop on the hop is creative Heather Hoffman! 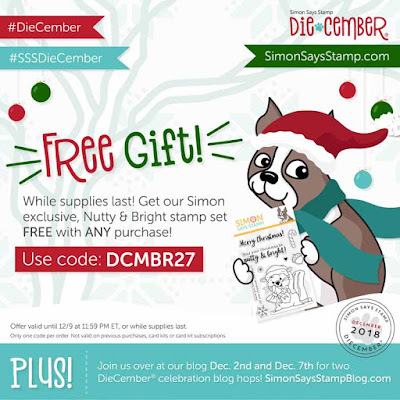 There will be another Blog Hop celebrating the Diecember® release on December 7th, so make sure you not only check out the new release over at the Simon website, but the Blog hop on the 7th over at the Simon Blog!! Great ideas. They are all pretty. the third one is my favorite. 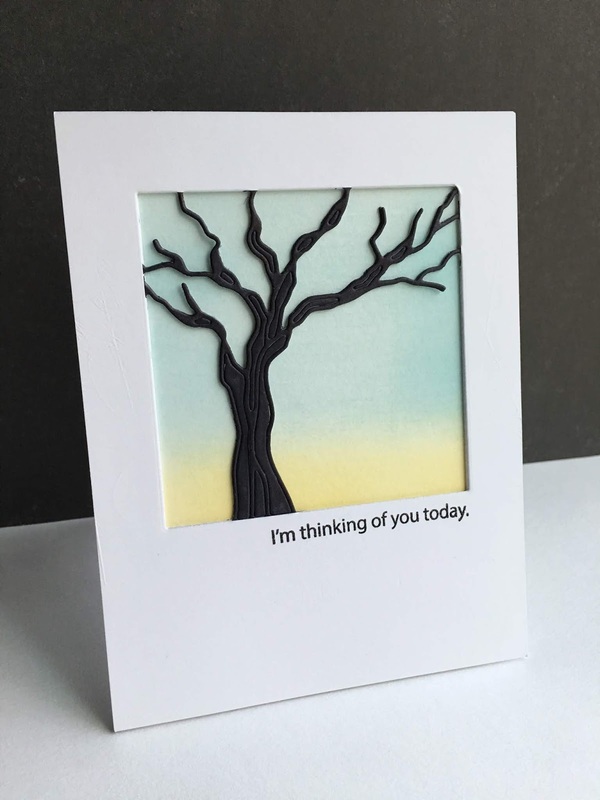 Wow Lisa your use of the tree die is amazing, I love all of your creations. the use of the paint chips is very imaginative. 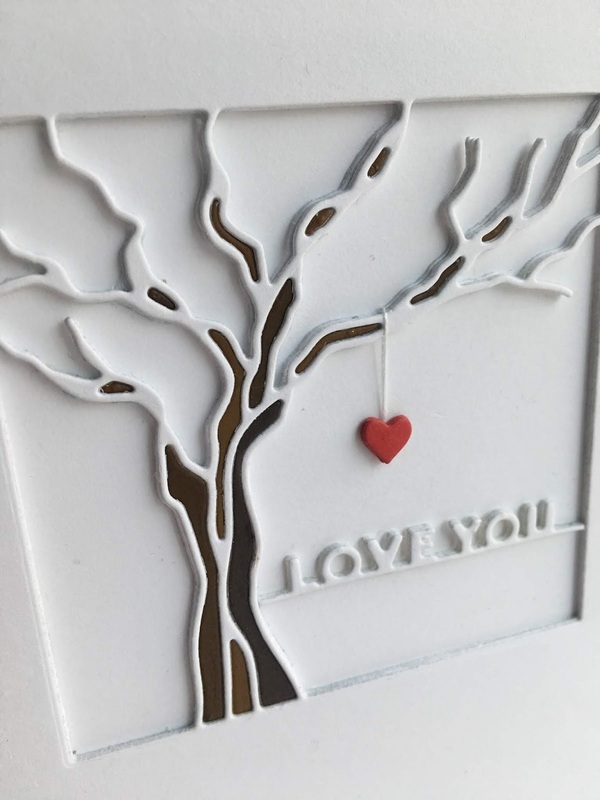 Love how you featured the beautiful tree die, especially the all white card. Stunning! Your cards are all beautiful. Love how you did the white with just the pop of red in the heart, Thank you for sharing, and inspiring. I love what you did with this tree die! When I first saw the tree die, I wasn’t really drawn to it. But after seeing th magic you created, I might have to reconsider! The tree can have so many uses for cards! Always love your ideas. Such pretty cards!! Love the first one best. These cards are so simple and elegant. Really pretty. STUNNING! I just love the different variations of the tree you did! WOW, WOW, WOW!! Now I have to purchase that awesome tree die!! Three beautiful examples of how versatile that tree die can be!! I love the all white with heart hanging down!! Ok this one clinched it. Must have that tree! So simple and stunning cards!!! Great ideas! Especially loved the paint chip idea for the first tree. It has a Wow factor as soon as I saw it. Such a beautiful card! Love it. Beautiful CAS cards! Thanks for the inspiration. These are beautiful. This die is so cool, it would be used year-round for so many occasions. Gorgeous cards - I especially like your first one - that tree die caught my eye the first moment I saw it and if I was on the fence before, your post has pushed me over into getting it! Like how you made the tree die look so versatile with the variety. I liked this tree die when I first saw it, but now I love it! Your cards are beautiful! Beautiful cards! I love the tree with the one red heart the most! Gorgeous! Dies weren't even on the scene when I started! This die was one I immediately put on my wishlist & you've shown why! I really like what you did with this die! 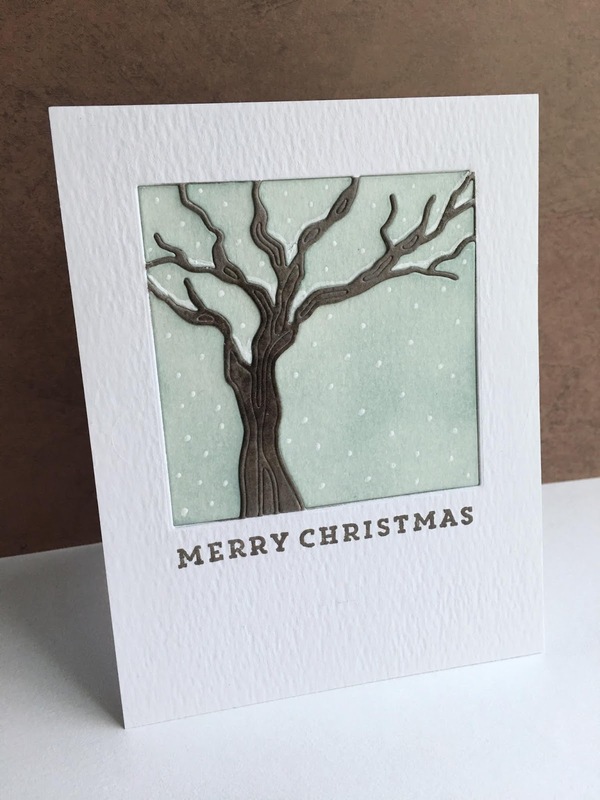 Love your tree cards, so simple and elegant! When I saw the tree from the release it was one of my favourites, but now that I see your cards. Am I ever in love with that tree die. Each card is amazing! I have to try it. I have to try the tree stencil with the heart. So creative, I’m in love. I too am a die cuttin' fool and I do love the versatility of this one and how it is so on trend right now. A great way to set off this die for different moods. This die is so versatile!! Love it! All three are gorgeous! Adding this die to my wish list. I like how you used the same dies to make the trees different. They look great for winter. Now you have me thinking about this tree die! Beautiful cards! Love the first tree card. So beautiful. THIS is my favorite project so far in the hop! I gotta have this die! I love seeing multiple ways to use the dies!!! WOW! Amazing cards. You've also sold me on this die. I didn't realize there were so many different ways to use it. Thanks. I love this tree die, you can do so many things with it, as you demonstrated very well. Thanks for sharing! This tree die is great because it is so versatile. I love all the different ways you used it, especially the "Love you" card. Gorgeous cards!!! I love that you used 1 die and created 3 different looking cards!!!! LOVE your stunning cards and this new release!!! Love the tree! Nice job! Thanks for sharing. Try this again. Love the tree! Nice Job! Thanks for sharing! These are all so simplest so stunningly beautiful! I love every single one! The very fist one is my favorite! Thanks for some amazing inspiration! Super cool uses of this tree die. It's great to exhibit the versatility. Looking forward to seeing what you will do with another in the release. Fabulous cards!! Using one die … amazing. I love the first tree, the white on white is so classic. It's amazing how different each card is even tho' you used the same die.I like the tree with the little red heart the best. I think this is my favorite die from this release, so elegant! This is my favorite of the release. Your designs using it are fantastic. Thank you for sharing. I like the different ways you used the die. The one with the red heart and pieced in tree colors is so serene. The others are beautiful as well, and I like the tip of layering several together to get the depth of the tree. Absolutely lovely cards Lisa, such a beautiful die. Love the winter one! The hint of snow is the perfect touch! What a beautiful set of cards!!! Thank you for showing the amazing versatility of this die. Great cards. Love the tree die and now I know why! The versitility of it and How cute is the Love You Card! Great Art! I love this set of cards! So perfect! The solo tree seems to be weathering the seasons quite nicely. Thanks. dies have sure come a long way, haven't they? luv your designs...I'm a sucker for inlay! I love all of your "fun" creations! Your projects are just wonderful. Especially love the Christmas card. These are awesome! Thanks for sharing with us! Stunning cards. I love them both. I wasn't sure what I thought of the tree die until I saw your cards. You have opened my mind with your beautiful cards! Thank you! Creative use of the tree die by its self. Fantastic cards using the tree die! Thanks for the wonderful ideas and sharing your lovely cards! Lisa, all three of your tree cards are absolutely beautiful! I love the simplicity and elegance of your designs. Thank so much for sharing your creativity! I blew past the tree frame die on my first review of the release...you just made me add it to my list! It's great! TFS! Love all three cards you created! So pretty and unique! Gorgeous cards! Love the touch of the red heart!! 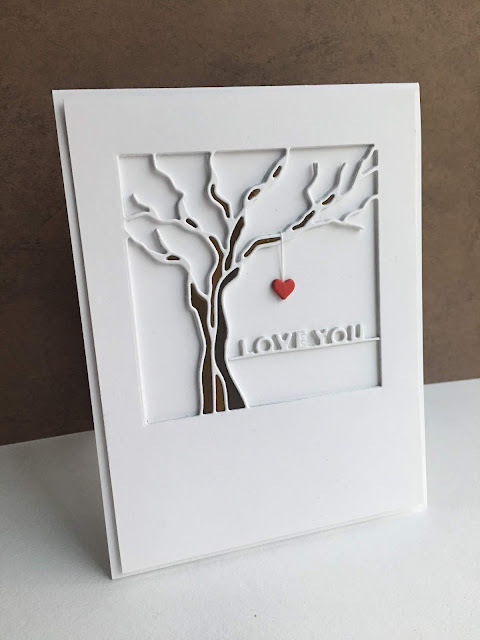 lovely cards - this tree die is great! Wow! Fabulous cards!!! Love your first one!!! I love your cards, the last one the best. I like how if you keep the diecut intact it give the tree texture. You really showed the versatility of the tree die. I think your cards are beautiful. Fantastic, love the winter version especially, didn't think of mixing the season's up with this so I'm so glad you showed me these, think I've run out of mojo lately. Absolutely stunning cards. I love each and every one of them. Very beautiful cards. My favourite is the first card with just hints of colour. Looks very elegant. Very clean and simple card designs. Beautiful cards! Love your technique with the die cut. Fantastic cards! I love when a product is shown in different ways. Thanks! I love your style of card making. All cards are wonderful & I never would have thought to use the tree the way you did in the 3rd card but when I first looked at it & the sentiment the first thing that came to mind was a sympathy card. What an amazing release of dies! Oh dear, what to choose? :) Your cards are gorgeous! Love what you've done with a deceptively simple die. I loved how you took one die and gave us a few variations of cards using it. All of the cards were very beautiful and it's hard to pick a favorite. You did a fantastic job!! Oh totally great ideas ! Beautiful tree--great ideas to use it! Wow!! These cards are gorgeous! I love all three. Oh wow Lisa, you show here the versatility of this awesome die. I think this is why dies are invented for. Thank you so much for showing. Your fabulous creations made me love that amazing tree even more. thanks for the great inspiration!! Your trees are beautiful! Love all the looks you were able to create from one die. I love trees, so my attention was immediately drawn to this die as soon as the release launched. You've made two very different cards using this same die and I really like each one!!! Thanks for sharing these great ideas! I love all your different takes on that tree! I think the white with the heart hanging from it is my fav! Just beautiful, elegant and all from one die! Just love the versatility you've displayed here. Your cards are just gorgeous!! Stunning cards. I love the way each design is different using the same die. Very creative. Thanks for inspiring me. So many possibilities with this die! Awesome creations! Wow, these are absolutely fabulous! One more beautiful than the other! I love the tree die and you've used it so beautifully. TFS! This die release is an amazing one. Thanks for your ideas! Fabulous cards! I love the different designs using the tree! I love the clean look of your card using the tree die! This die was one of my favorites of this release, so I'm delighted to see you do a deep dive into what one can do with these. It's so cool how you can do both the really graphic style of the first card, but also the softer styles of the second two cards. Thanks for sharing these beautiful ideas! Fabulous card ideas! When I first saw this die, I thought it would make an awesome Halloween shaker card, but I like your ideas so much more. I love it as a snowy Christmas scene! Thanks for the inspiration. I love how you made three totally different cards from the one die. The red heart hanging from the string is ingenious! Each card is beautiful! A heart hanging from the tree - love that one very much! Beautiful cards! Love how you pieced the tree in the first sample! All these cards are wonderful!! So nice to see the die used in different ways. These cards are lovely, love the simple look. Love your CAS cards, especially the silhouette one. Love the lines of that tree and all the different looks you are giving us with it! BEAUTIFUL designs!! I love the versatility of this tree die. That little heart hanging just warms my heart. Thanks so much for sharing your talent with us. Yes, I can appreciate your love for dies... just so fun and ALL these new dies OMG what to choose, what to choose !! 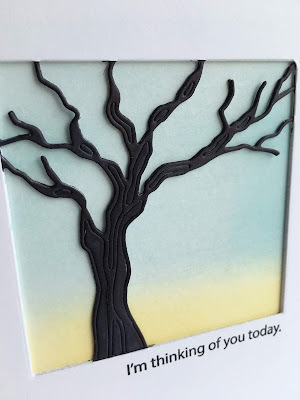 Like the different looks you've shown with the tree frame die ! Awesome tree die, I love your creations! Oooo . . . . that die IS fabulous!! I love how you have used it in different ways for the different occasions. I love your cards! What wonderful possibilities this die provides!! Thanks for the inspiration, Lisa!